Auschwitz is a sacred place of Jewish memory. It’s no place for a Catholic church. Browse: Home / Auschwitz is a sacred place of Jewish memory. It’s no place for a Catholic church. Notions of Jewish supremacy extend to the pre-eminence of Jewish suffering too. The following is a prime example of Jews trying to monopolise the suffering inflicted by the Nazis. Avi Weiss’s protests over a church at Auschwitz pointedly ignores the 2.77 million Polish Christians who died at the hands of the Nazis. It also ignores the thousands of Polish priests who were killed, many of them in Auschwitz. So there’s no disputing the fact Polish Christians also suffered greatly under the Nazis. Yet Avi Weiss is adamant: “We cannot allow evidence of the atrocities of the Holocaust to be co-opted by other groups for other purposes”, he says. In other words he wants to turn Auschwitz into a shrine exclusively for Jews. As if the millions of Polish civilians killed by the Nazis were irrelevant. What counts, at least for Weiss, is Jewish suffering. In its own way his ideas about the supremacy of Jewish suffering are as warped as Nazi theories about racial supremacy, and just as dangerous too. Zionist extremists hate to be labelled Zion-Nazis but there is little difference between the two and Weiss’s arguments, however specious, provide fertile ground for extremism. Ed. 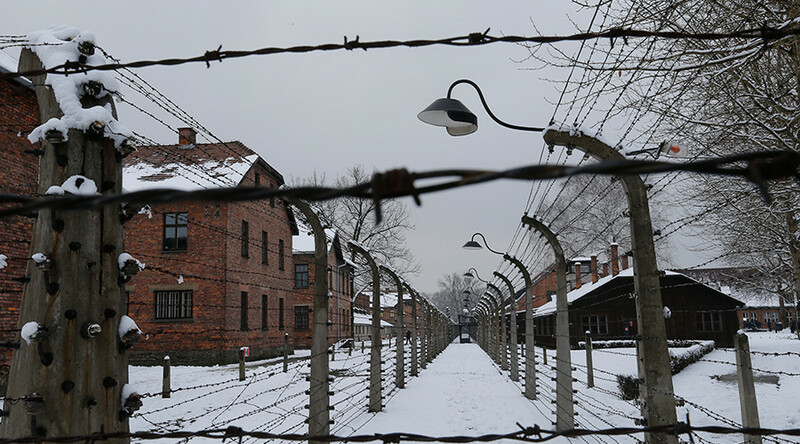 This week marks the 70th anniversary of the 1945 liberation of Auschwitz, the notorious death camp in Poland at which 1.1 million Jews were murdered during the Holocaust. With each passing year, fewer survivors remain. The time is not far off when there will be no living witnesses to share their part in this story, to say: Yes, this happened, and this is how. We cannot allow evidence of the atrocities of the Holocaust to be co-opted by other groups for other purposes. That is why Jews the world over were appalled when, in 1984, Carmelite nuns took over an Auschwitz building that had once stored the Zyklon B gas that Nazis used to murder Jews. With the full support of Polish Cardinal Franciszek Marcharski, local authorities granted the nuns a 99-year lease to convert the building into a convent, where the nuns sought to pray for the souls of the murdered. Around this time another affront took place, this time at Birkenau — also called Auschwitz II — when the local Catholic community established a working church in what was once the Nazi commandant headquarters. As a rabbi, I have deep respect for all places of worship. I also feel that Christian houses of worship do not belong at what is in effect the largest Jewish cemetery in the world. And so in July 1989, I joined a group of seven activists protesting the Carmelite convent. We climbed over the fence surrounding the convent and peacefully assembled. Polish workers inside the convent poured a bucket of water mixed with urine on us, as nuns watched from the windows. In 1993, Pope John Paul II himself ordered the nuns to leave, and the convent was shut down.